As tension increases among the Whites, Walt takes drastic action to bring his family back together. With Saul's help, Jesse makes an unexpected investment. AMC content: Marie's Blog . Our special effects expert did indeed work up some mechanism for getting the pizza out of the box and onto the roof, using fishline or somesuch. However, to the best of my knowledge, his rig was never used. What you see in the finished episode is take one, in which Bryan basically just did a Hail Mary toss and got it up there in one try! A question: on this episode summary, it says that the cousins are the ones who receive the "POLLOS" text message*. I thought that the text message was on Walt's phone (which he left in his suitcase, I think). Is that not the case? *Apropos of nothing, this is my favourite text message ever. There's a scene a couple of episodes later where Badger brings in pizza from the same restaurant and mentions that they don't cut their pizzas and "they pass the savings on to you." I've always assumed that was done to explain why the pizza was whole when Walt tossed it onto the roof. Had it been sliced, it would have just been a shower of little pie wedges. I've never seen that confirmed anywhere, but I'm guessing that's the case. IIRC it's a real shop, they talk about it in the podcast. The pizza on the roof! Lovely! I take great pleasure in Walt's pathetic posturing, which will only get worse as this season continues. This is actually the closest Walt comes to being killed I think, with the Cousins only being stopped at the very last moment as Walt commits another petulant act. Mike's position in this feels a little odd. Pretty soon he will be clearly be working full time for Gus, but here it seems like he also does odd jobs for Saul too? 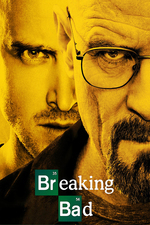 There's a plot problem the show has for a little while where Skyler has to decide not to tell anyone about Walt's meth, which is justified to be about protecting Walt Jr. Its a little weak sauce I think, although as time goes on it becomes less of an issue as she becomes wrapped up enough so that turning him in is no longer really an option. I think she sells the inability to move forward in her discussions with her lawyer (god, I love that scene where the lawyer's like, "Look, a therapist is cheaper and better trained at whatever it is you need here" and Skyler just keeps on nattering). The pizza gets all the attention, but this is easily one of my top 5 episodes overall. You get Walt mouthing off to the cop and getting maced, poor Flynn going to stay with Walt only to be driven home, "Michelangelo won't paint," Tio and the Ouija board, Jesse buying that house out from under his parents... It's wall-to-wall with good stuff. But my absolute favorite is seeing Walt the morning after Sky rejects his pizza. Look at that room. Tissues, popcorn, magazines, and beer bottles everywhere and then somehow he ended up on the floor. It's like he just had the biggest pity party he could manage. And then he bangs his head on the table and rages at the answering machine. This show generally walks a thin line between being seriously heavy and being wacky, and this area of Walt's character arc hits the sweet spot in between, I think. The opening scene, with him going from singing in the car (!) to loud belligerence to snotty weeping is also quite funny. I adore the use of that song here. The band has said it's not about anything, and Vince has said that he included it just because Walt is "a 70's kind of guy," however, anyone can tell that it's a song about a journey into strange territory. And Walt is totally lost here--he doesn't have his wife to anchor him, that's all he can think about, and he's just barely able to maintain a friendly veneer for others. He even says, "I can't be the bad guy," in this episode. He's ready in that moment to abandon this entire enterprise. We know what it means for his ego, for his vision of himself--that's what gets him into trouble again and again--and yet it appears here that he needs Sky *more* and would let everything go now. And what next? Pretty soon he will be clearly be working full time for Gus, but here it seems like he also does odd jobs for Saul too? Right, I think Mike's just one of the guys in Saul's rolodex. Last season Saul called in Mike to clean up the Jane situation; and although it's not explicitly stated, I think it's safe to assume that last season Mike was also (a) the "P.I." that Saul hired to find out Walt's identity, and (b) the "guy who knows a guy" that Saul used to broker the Walt/Gus meeting. He even says, "I can't be the bad guy," in this episode. This is also a nice echo of Jesse's "acceptance" statement of "I'm the bad guy" in the previous episode. Exactly. And in the end, they're both wrong. Saul convinces Walt that Skyler will never turn him in based in part on the fact that she'd lose the house because of the RICO Act, and in part on how it would be "a Maury Povich show" if the kids ever found out. Walt Jr.'s sympathy at this point is still completely with his father, which of course will change once he finds out what's actually going on. Luckily, by the time he finds out he is mostly done with school--he's only got a couple years of endless teasing ahead of him (once he's an adult it'll probably be more of a cold shoulder, unless he changes his name and/or moves somewhere far away). I can only imagine what Holly grows up like; kids are often cruel, and once it got out that her father was a meth kingpin she'd never hear the end of it.